I’ve got a proposition for you, if I don’t get tongue-tied while telling it to you. What’s my PROPosition? Well, it’s forget the pickled peppers, Peter Piper. What you really need is to pick is the proper prop. Seriously, be sure to put some careful consideration into the choice you make for your outboard motor’s prop. A good, quality prop will deliver the performance that you pay for, so when you go to your marine dealer, you need to have some idea about the benefits you are looking to add to your boat. Picking the right boat propeller is an essential part of getting the most out of your bass boat’s performance. By matching a prop to your outboard and fishing needs, you get the best performance possible and increase your satisfaction on the water. Picking a prop can be get pretty complex as there are a lot of factors to consider, but today we are just going to discuss the pros and cons of the number of blades your ideal prop has. Also, props are composed of aluminum and stainless steel, and without question, stainless steel props are going to be the best buy for bass anglers, though more expensive. 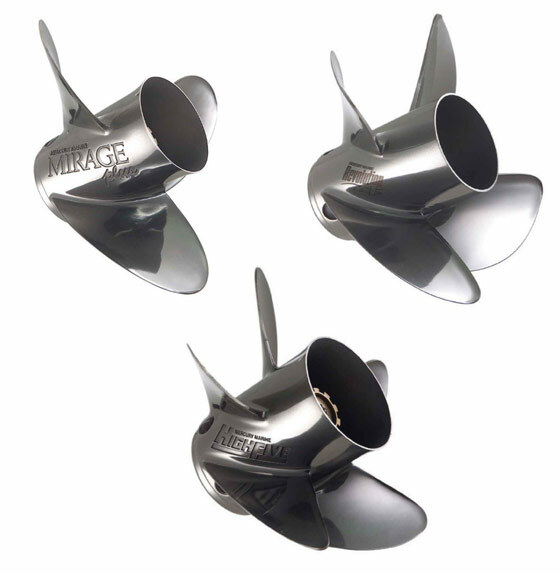 Common blade counts for stainless steel props for bass boats are 3, 4 and 5blades. Three blade props tend to deliver top-end speed. These props are preferred for conventional, non-stepped performance hulls that need some help carrying the bow at wide-open throttle. While great at helping your boat run as fast as possible, three-prop models are not ideal for maximum acceleration on hole shots. Also, they don’t enhance the low end torque of your outboard, so they are not the ideal for towing the kids or the missus around the lake. Four-blade props may be the best-all around choice because it delivers a good combination of speed & acceleration. These props have the bite and give added acceleration for strong acceleration and hold a boat well through turns, while also offering good fuel efficiency. The negative of the four-blade is that it might not propel you to fastest speed possible for your bass boat and high speed runabouts. Keep that in mind if that’s an essential due to a long run to your favorite spot, or even back to the boat ramp or weigh-in. 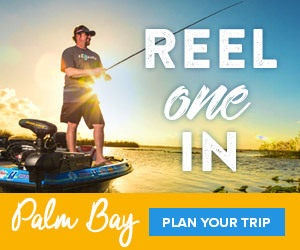 Now if your bass boat doubles as a fish and ski… if you use your boat for towing tubes and/or kids on wakeboards or wake surf boards, the acceleration and pulling power of a five-blade prop is hard to beat. A quick full-throttle holeshotwill provide lots of punch and it will also help you hold turns while your boat will be less likely to fall off plane as easy. A down down side of a five-blade’s power is that you sacrifice top-end speedwhen you gain all this acceleration and improved holeshot. Remember when selecting a prop, the blade count is going to have quite the influence on what your bass boat can do. How many blades do you want? Well, how you answer that depends on your needs. Your job is to know your needs before you make a purchase. It’s so easy to use, even Peter Piper would pick the right one! ’Til next time, catch one for me!